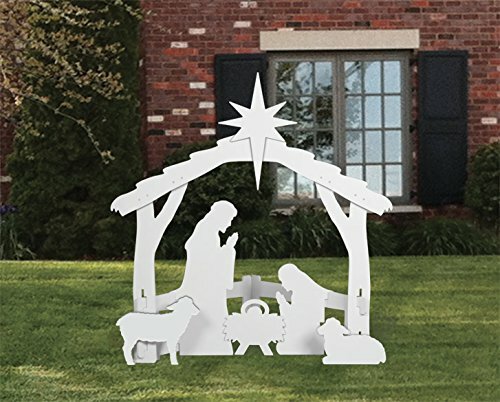 Proudly display this large stunning silhouette style Nativity that symbolizes the true meaning of Christmas! Beautiful during the day, at night this pure white design becomes a real eye-catcher illuminated with just a small spotlight. Perfect for churches and houses with large yards! Original, self-standing design easily slides together in minutes without tools.